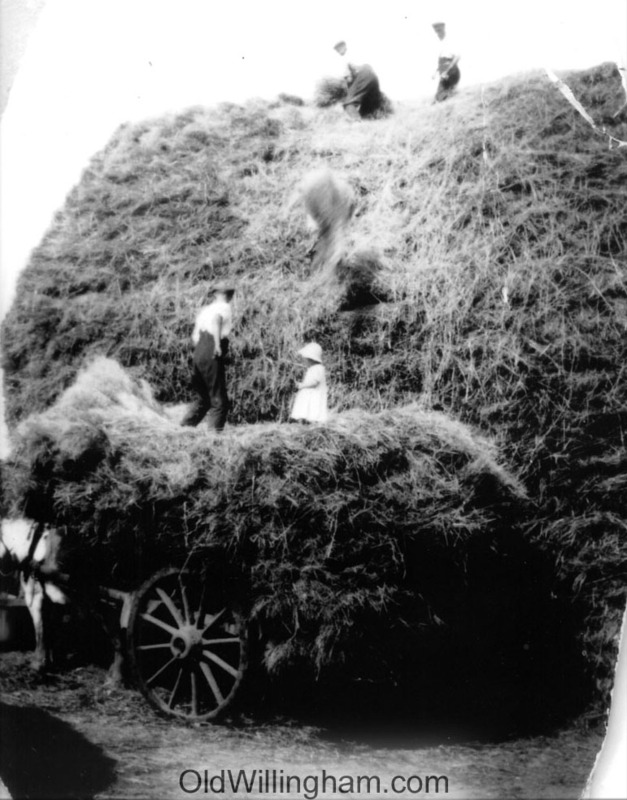 This is how you would build a corn-stack or hay-stack in the 1940’s. No automatic binding or hydraulic lifts – just a strong arm, a pitch fork and a head for heights. Forget health and safety: no hard hats, no hi-vis and it’s OK to bring your 3 year old daughter for company. This photo was taken at the Jeeps brother’s farmyard just off Green street, Sidney Jeeps is on the top, Henry Spackman is on the cart and the little girl… well Margaret still lives in the village today!